GB: When did development first begin on Storm of Zehir and where do you currently stand in the expansion's development cycle? Are you still on track for a 2008 release? Matthew: Development on Storm of Zehir started to pick up right around the end of the development cycle for Mask of the Betrayer. We're progressing well with development and are still working with an eye on releasing in Q4 of 2008. 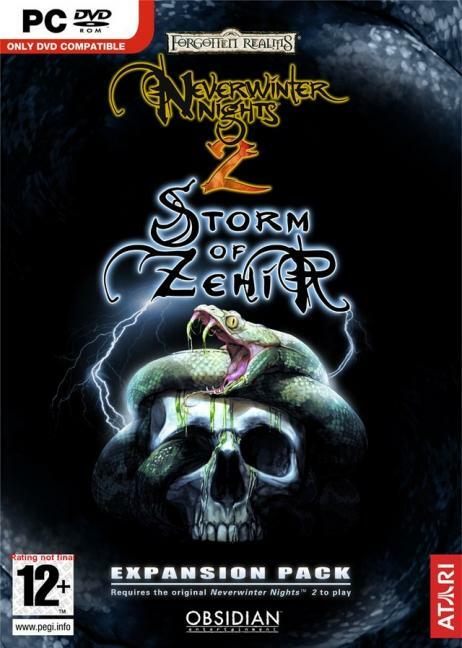 GB: Tell us a bit more about Storm of Zehir's storyline, as well as how the new overland map and trading system will function. Matthew: We can't say much about the storyline at this point - suffice to say that Zehir himself is mentioned in some of the D&D 4th Edition manuals. While our game utilizes 3.5 Edition rules and takes place before the 4th Edition in the chronology of the Forgotten Realms, we still foreshadow some of the events of the new D&D edition. The Overland Map is an exciting new feature for us, as it allows for more non-linear exploration of the game world, in a fashion somewhat akin to Fallout. We feel that this allows for more open-ended gameplay, and also allows us to set the player loose and explore the world in a way that selecting destinations on a map screen doesn't really emphasize. We're also excited about the new roles that some of the Skills will play on the Overland Map; things like Spot, Listen, and Survival will probably be much more important in Storm of Zehir than they have been in previous Neverwinter Nights games. The trading system revolves around the classic capitalistic technique of "buy low, sell high". You'll also need to keep track of events that may influence the prices of various goods; some of these events might even be caused by your party of adventurers. There are also quests that tie into the trading systems, as well as merchant cartels that you can choose to ally with or oppose. In the end, we want the trading system to open up new role-playing opportunities, so you can expect your trading adventures to open up new quests and influence the story. Its implementation also encourages the player to explore the Overland Map. GB: The expansion will continue to use the 3.5E ruleset, but you mentioned in the press release that the storyline will "foreshadow" events that will take place in the 4th Edition version of the Forgotten Realms. Care to elaborate? Any chance that there will be other tie-ins to 4E? Matthew: As mentioned above, most of the 4th Edition tie-ins are plot-related, and playing Storm of Zehir will allow players to get a better feel for how some of the events of 4th Edition came to pass. GB: Although the storyline is completely new, might we see the return of any significant NPCs from NWN2 and/or NX1? GB: What sort of level range will the expansion be geared for and how many total hours of gameplay are you shooting for (side quests included)? Matthew: Your party will start off at a low level. From there, you can reach the level cap of 30 if you set your mind to it, although the toughest encounters in the storyline will likely wind up being placed in the high teens. We've mentioned 15 hours of gameplay before, but with the new Overland Map exploration, the window on gameplay length is a bit more open than it has been in the past. Some players will rush through the storyline, while others will take their time exploring the Overland Map and poking into every nook and cranny.